How would you like to have more eyes looking at your products on Amazon? What about increased FBA sales? All of this, and more, is possible thanks to FBA Global Export. When you first sign up to sell on Amazon via FBA, the default mode is for you to sell your inventory only to customers in the United States. Sure, the bulk of the traffic on Amazon.com comes from those in the United States, but there are millions of customers outside of the States who might be interested in buying your product. In fact, this Reuters article says that 25% of Amazon.com sales come from outside of the US. That’s a lot of missed sales if you don’t have FBA Global Export turned on. You want these potential customers to see your products and to have the ease of buying them via FBA. 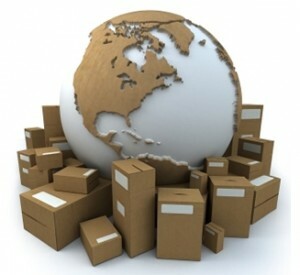 FBA Export allows FBA sellers in the US to offer a majority of their inventory for sale all around the world. Getting set up with FBA export is easy. Let me walk you through the steps. 1. Sign in to Seller Central here. 2. 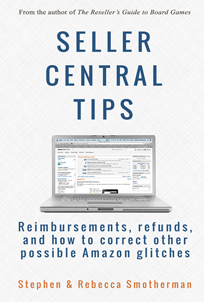 Hover over the Settings in the top right corner of Seller Central and then click on Fulfilled by Amazon. 3. Scroll down and in the Export Settings section, click on Edit. 4. Click to Enable FBA Global Export. 5. Upload a signature file (more on this here). 6. Read and click that you agree with the Amazon Business Solutions Agreement. 7. Press submit and you are done! If you are not currently set up with FBA Global Export, then you’re missing out on more sales and increased profits. 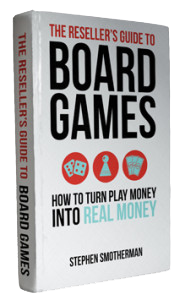 Just today, I sold a book to a customer in Great Britain, a toy to Ecuador, and a board game to Australia. These are sales that I would not have had if I were not set up with FBA Global Export. In our next blog post, I’ll talk about all of the benefits of FBA Global Export, but I’ll let you in on my favorite benefit today: Since there are so few FBA sellers set up to sell globally, I actually get the buy box for the international buyers at a higher price than those not offering their products internationally. I have one toy in particular that I have about 30 currently in stock. I have this toy priced about $3 to $4 more than the current lowest FBA offer, but none of the other sellers of this toy are set up with FBA Global Export, so I get all those international sales! The US based sellers are all priced around $9, but I’m getting all the international sales at $13 each. After all is said and done, that’s $120 more that I’ll get for selling the same item. Note: FBA Export does not list your products on other Amazon marketplaces. Instead, FBA Export allows your products to be shipped directly to international customers who already shop on the US Amazon.com marketplace. You also need to have a Pro Seller account to qualify for Global Export. Not only will our next blog post talk about all of the benefits of FBA Global Export, but we’ll also discuss all of the possible fears you may have with selling internationally. Feel free to comment below with your thoughts on selling internationally via FBA. 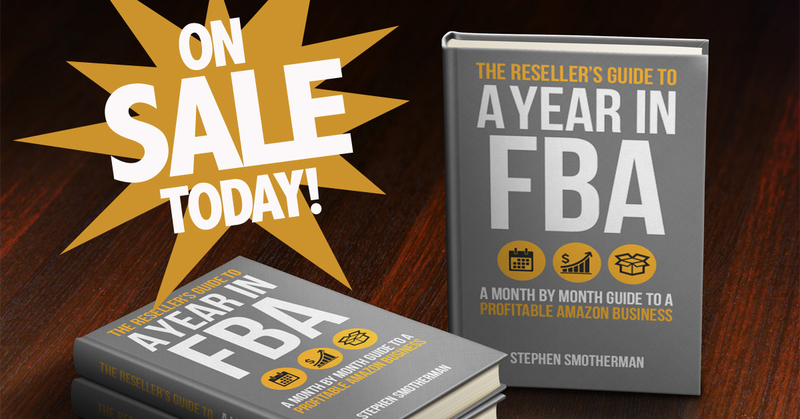 Imagine knowing exactly what to expect in your Amazon FBA business every month of the year. Imagine what it would feel like knowing you were not missing out on any of the opportunities that will come your way this year. Imagine working on your Amazon business knowing exactly what your priorities are, what you need to avoid, and what you need to accomplish during each month to make progress toward making this year your best sales year ever. 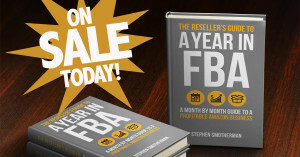 Find out more about The Reseller’s Guide to a Year in FBA: A Month by Month Guide to a Profitable Amazon Business today. 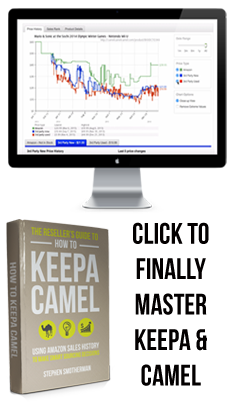 The package includes a 220-page ebook, monthly training videos, and 4 special bonuses. Are there extra fees for selling FBA Global export? No extra fees! The buyer pays all the extra fees involved in the international order and are told this before they buy from Amazon. Signing up for FBA Global Export costs you nothing more than if the buyer were in the U.S.
Great Blog subject, I also put in the Description of a Product that I am a International Seller, I have sold a few items Imternational, from UK to Malasia, I wish I could Market these Books and Media to receive more Sales, is this possible? I’m not sure, Shawn. For the most part, the buyers in other countries will only see items that are already approved to be able to be shipped to their country. Not sure if there is anything else to do in order to market directly to them. There might be a way by using Amazon Sponsored Ads, but I’ve never done that. Anyone else with an answer is welcomed to chime in. Great article. Quick question for the group… How are returns handled? Who pays for returns? How do/would returns hurt the seller? Returns are handled just like every other FBA return. Amazon provides the customer service and approves a return, then we wait for the item to actually be returned. If the product is never returned, then we can request that Amazon reimburse us for the non-returned item. Just like always, if the item is deemed defective or damaged, then Amazon pays the return costs, and if the buyer has a different reason, then the buyer pays the return costs. Hey Stephen! I have literally “almost” signed up to export a dozen times. What’s kept me from following through is the sales tax question. How is that handled and what do sellers need to know/do in regards to it? Thanks! Amanda, I’ve never had any tax issues with selling internationally via FBA Global Export. I’ve never had Amazon charge taxes to the customer that I had to remit. Hope this helps! Glad I could help! Until 2013, Amazon only offered up media items to be shipped out internationally, but now the offer up almost all of the products on Amazon. I know this thread is old, but have you experienced any issues mentioned in this post? No, I have not. I’ve called Amazon multiple times to ask the question about international returns and they all tell me that the customer pays for the return shipping, not us, the seller. Do you do that? and how can you do that from the states ? When you sign up for Global Export is it only going to sell a person’s FBA Inventory? I do both Merchant Fulfilled too. Global Export is only applied to FBA items. Hope this helps! Where can I run a report on my global sales? I have no idea if i ever made a sale international… after signing up. 6. A few minutes later, your report will be completed and you can click on Download to download the file to your computer. 7. Open up the file in a spreadsheet (like Excel). If the file opens up as a text file, you can copy and paste the data into a spreadsheet. 8. Look at the spreadsheet. There is a column that is titled, ship-country. Select all of the data on the spreadsheet and sort the data in ascending order under that column. From there, you can more easily see all the countries you are shipping to other than the US. does international selling require you to have more expensive insurance? would you mind telling me who you use for insurance for fba? thanks! love your site. No, the insurance is the same. I got insurance through my State Farm agent. Dear Stephen and Rebecca, could you please tell me /recommend what type of insurance do I need to contract as an FBA Seller? for the US market. Go to this link and scroll down to read #9, and then scroll down more to the “Definitions” section to see the info for Insurance Threshold for the US (and other) markets. Polly, if one employee at Amazon seller central is not able to help you, open up a new case and ask someone else. If they can’t help you, ask that they ask a supervisor… someone there CAN help you, but you just need to keep asking until you find that person. It’s a pain, but worth the trouble. I am so glad I read this!! I didn’t know about FBA Global. Yes, I saw the link, but I had also seen that you have to set up special accounts to sell in other countries. I didn’t realize that the Global link meant customers who came to the US site to shop and wouldn’t cost more. Although I just activated it on our account, I’m hoping it will prove a Godsend to us. Thank you!! The only reason you’d need to set up other accounts to sell in other countries is if you were going to send your inventory to the other countries’ FBA warehouses. Hope your FBA sales have increased some thanks to signing up for FBA global! I have enabled FBA Global Export but I am still unable to send my items to worldwide thorough FBA Global and FBA third party (Like ebay orders with FBA) like I have doing with my UK FBA, I can send to all Europe but with FBA USA I can only send within USA, even I am not able to send to Mexico from USA. Is there any suggestion I can send send orders from FBA to Worldwide. If you’re having issues with FBA Global Export, maybe you should contact Amazon and see if the problem is on their end. Is there a “trick” to make my items exportable after enabling FBA Global Export? From what I have read, Amazon decides what and when any items are exportable, and only then would your item show up. Thoughts? Once you enable FBA Global Export, then all of the items that Amazon allows to be sold outside of the US will be seen by international customers. Look on the Amazon guidelines page for FBA Global Export (in the blog post above) and it will tell you which categories they allow to be exported and which ones they don’t. Stephen, is there a way to know if I am the only seller setup for international sales on a certain product? The reason I ask is because I like the idea of listing at a higher price like you mentioned you did in your article and make an extra $3-$4. Also, I assume there is no way to have 2 prices (one for U.S. and one for international). No, there is not really a way to tell if you’re the only seller set up for international sales… unless you are outside of the US. And you can only pick one price for your items. Thanks Stephen for posting your article. Is FBA export similar to selling internationally to buyers on Amazon USA site like when I sold as merchant seller, I would select international shipping option? And there are no tax implications to worry about because the inventory is stored in US FBA warehouses and shipped from the US? Thanks! Thank you for this post. Signing up for Amazon very soon and will add international when I do. So I just tried this but now it’s saying that a separate professional selling plan is required to ship globally. Do you all have to pay another charge every month too? I professional seller account is $39.99/mo. If you’re serious about making a good income with FBA, I recommend signing up for a pro seller account and to gain access to the global shipping. If you are based in the Philippines and selling via FBA by having your items in US based FBA warehouses, then yes. If you are selling via FBA with your inventory at FBA warehouses outside of the US then I’m not sure. You’d have to ask whichever international Amazon site you are selling on. Do you need to get a VAT registration in any of the countries your product might be sold in if you are using FBA Exports? No.. Amazon takes care of all of that. I saw a post about insurance for FBA and you said you had yours through I believe State Farm. What kind of insurance is it and what is it for? Just a heads-up that the video in your blog post is no longer working. Thank you for the suggestion, I just signed up. Hey Stephen. I have product being manufactured in London. Can I use FBA in London sell to the USA? It is a line of household cleansers and is it smarter to use FBA in London and sell in the US versus shipping to the USA and using FBA here? FBA in London would be sold to customers buying on Amazon.co.uk and not many in the US would be buying from there. Thank you for clarifying how this works. I was sure that there were more fees, so I never signed up. I am signing right now! Thx for the interesting and valuable information. I have a Action figure (toy) in Amazon but they are not approving it for export? does someone knows why or how i can get this fixed? Open up a ticket with Amazon and see if they can help. Not all items are eligible for global export, so they will be the best to answer your question. It looks like Amazon just updated the way to sign up for FBA Global Export. Here is the new way – I’ll update the blog post soon. What if the seller wants to pay duties and taxes? Awesome, I followed your prompts and enabled the setting!! Thanks! I read somewhere that I can have some control over products that are shown to sell to global customers. We just started selling one brand in particular that we have signed a contract not to sell internationally. Is there a page I can go to to make sure these items are not shown to international customers? Great question! I’m in the same boat. Here is the link to find the answer: http://www.fulltimefba.com/globalexport. Just scroll down to the “Exclude products from FBA Exports” section. Do you need any specialized business license to sell global? Not if you’re selling via FBA global export. Amazing, thank you for sharing your knowledge. How we can handle the taxes selling with the program?. Thanks. Amazon takes care of any international fees or taxes. No need to worry about it selling via FBA global export. You only need to focus on US sales when it comes to taxes. Be sure to talk with a CPA in your state to make sure my advice is applicable to where you live. Hi, thanks for the great info. These may be some really basic questions (sorry) I followed your updated instructions and my Export Settings were already enabled. Does that mean I already have global sales activated? Is there a difference between this and a note at the bottom of my seller page that says list globally with a highlighted link to start selling in Europe? Yes, the note is trying to get you to sign up to ship your inventory to the other countries to be sold on other Amazon platforms. When you singed up for is for other countries to buy from your US based inventory.